Installation view of Five, at the Marjorie Barrick Museum (Erin Cosgrove's work in foreground). Courtesy the Marjorie Barrick Museum. Michael Heizer at MCQ Fine Arts, June 2 - August 13. Opening June 2, 6-8 PM. Debris Field, Work by Jared Jelsing, Nicole Langille, Dennis McGinnis, D.K. Sole, and Christopher Taylor, at Satellite Contemporary Gallery in Emergency Arts, through June 10. Satellite's next show, Palimpsest, a one-man exhibition by local artist Jim White, will open on June 11, 6-9 PM, and run until July 9. Jim White, Jawbreaker (corsage). Image courtesy of the artist. The Neon Museum's new Artist-in-Residence, Whitney Lynn will give a talk on June 15 at the Neon Museum National Artist in Residence studio space at 418 W. Mesquite, Suite 130, from 6-7:30 PM, and there will be an open studio night at the same location on June 30, 6-8 PM. Force /// Nature, Elizabeth Blau, Orlando Montenegro Cruz, Rossitza Todorova at the Charleston Heights Arts Center Gallery, through June 18. 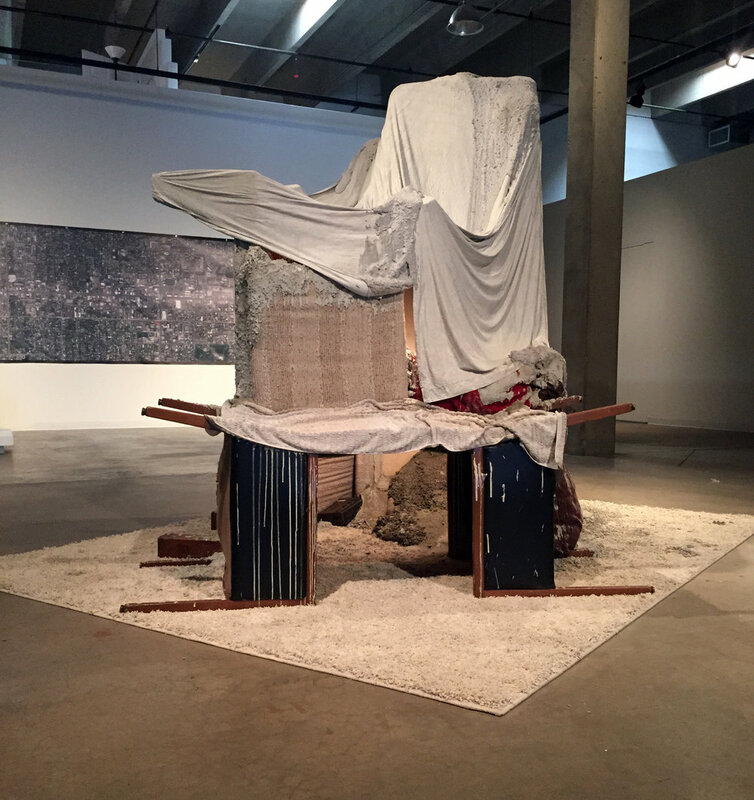 Read Daniel Habegger's Settlers + Nomads essay about the show here. Small Space Fest opens at Emergency Arts on June 20. Performances will take place throughout the building on June 20 from 6PM to 1:30AM. Visual arts will be on display from June 20 - July 21. Disconnected: the Creation of an American Phenomenon, at the Donna Beam, June 24 - August 8. Opening June 24, 6-9PM. Lee Cannarozzo curates an exhibition of temporary installations based around artifacts from the Neon Museum. Rachel Stiff, Framing the West at the Winchester Cultural Center Gallery through June 24. John Bell, For What it's Worth at Brett Wesley Gallery, though June 25. North East, a group exhibition at the Left of Center Gallery through July 2. Deborah Aschheim and and Lucky DeBellevue installation, Five at the Marjorie Barrick Museum. Image courtesy Marjorie Barrick Museum. Wendy Chambers, What's Behind Your Eyes in Aesthetics Primary. Image courtesy the artist. Marjorie Barrick Museum Director Aurore Giguet leaves Las Vegas for a new opportunity. "After 20-plus years at the Barrick, she has accepted a position as executive director of the Everhart Museum of Natural History, Science and Art in Scranton, Pennsylvania, a job that means leaving the campus museum she fought so hard for during the 2011 state budget cuts, and the institution she helped transition from natural history to contemporary art that same year. The museum now holds more than 200 contemporary works belonging to it and the Las Vegas Art Museum, and more than 2,000 works and artifacts in the cultural collection devoted to Mesoamerica and the American Southwest," writes Kristen Petersen in her article in the Las Vegas Weekly. We wish her all the best. Megan Armstrong: San Culpa at Practice(Philadelphia). June 3-26, opening reception June 3 from 6-10PM. Performance at 8PM. 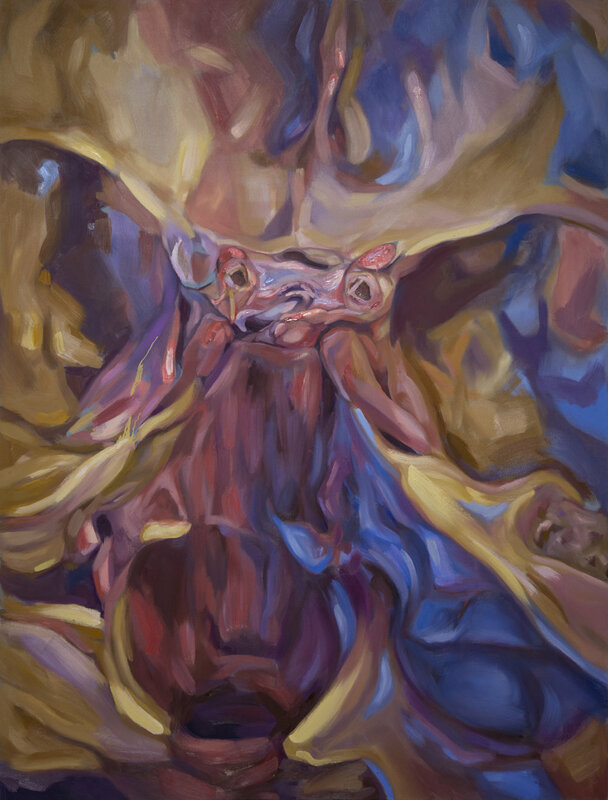 Kyla Hansen and Kristin Calabrese are in the group exhibition Synaesthesia at Five Car Garage in Los Angeles through June 4. 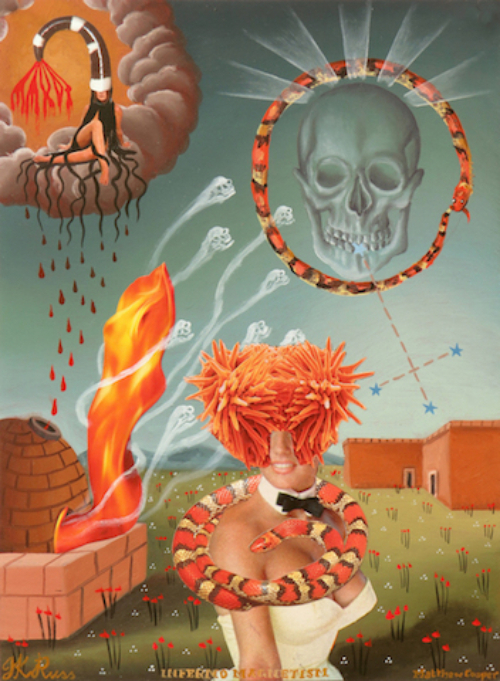 Matthew Couper & JK Russ, Salon of Desert Martyrs, at Zoya Tommy, Houston, TX, June 10 - July 9. Opening reception June 10 from 6 - 8 pm. Thomas Willis & John Gonzalez, Hidden Paintings, at Brown University's David Winton Bell Gallery, Providence, RI, through June 12th. Leor Grady is taking part in two group exhibitions: Briser la Glace: curated by the members of the 25th session of the École du MAGASIN, Centre National d’Art Contemporain, Grenoble, France, through September 4; and,Queering the BibliObject, curated by John Chaich at The Center for Book Arts, NYC, through June 25. 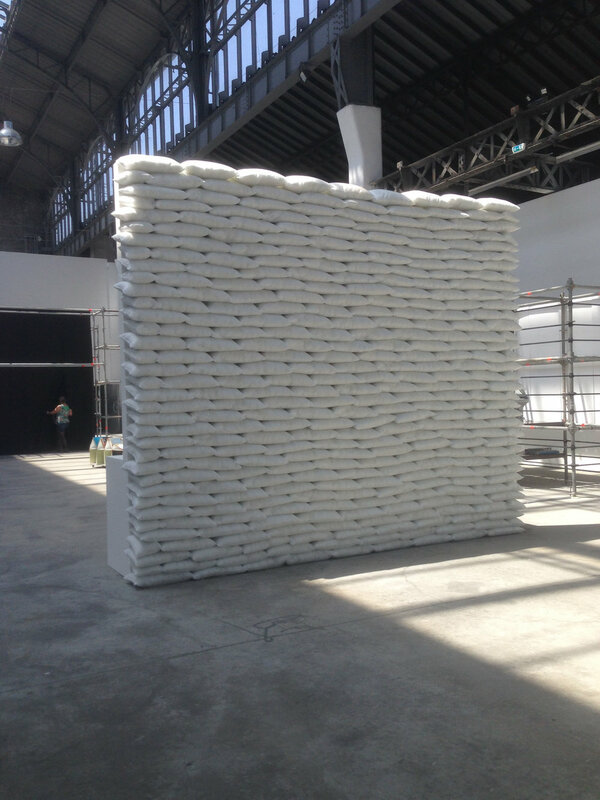 Leor Grady, Wall, Centre National d’Art Contemporain. Image courtesy the artist. Emotional Supply Chains, at the Zabludowicz Collection, London, through July 17. The group exhibition of seventeen artists includes David Raymond Conroy’s new video commission questioning the ethics of artist as tourist, created following time spent in Las Vegas as part of Zabludowicz Collection's inaugural residency programme in November/December 2015. The exhibition also features the work of Daniel Keller, Eloise Hawser and Korakrit Arunanonchai who participated in the Las Vegas residency last winter. Curator Paul Luckraft, who directs the residency program, wrote about planning and producing Emotional Supply Chains last month for Elephant magazine, linked here. 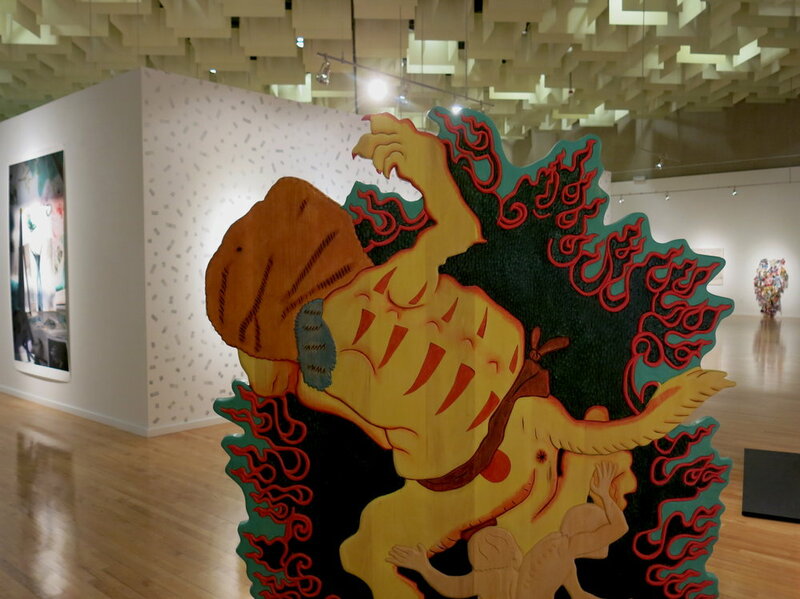 Justin Favela is taking part in the group exhibition Con Cariño: Artists Inspired by Lowriders, through October 10, at theNew Mexico Museum of Art in Santa Fe, NM. From July 8-10, he will bring his distinctive style to the museum for a three-day residency, working with the local community to create a giant paper lowrider that will be added to the exhibition. Everybody welcome, no experience necessary. Con Cariño: Artists Inspired by Lowriders, Detail of photograph by Norman Mauskopf. Image courtesy of the artist.